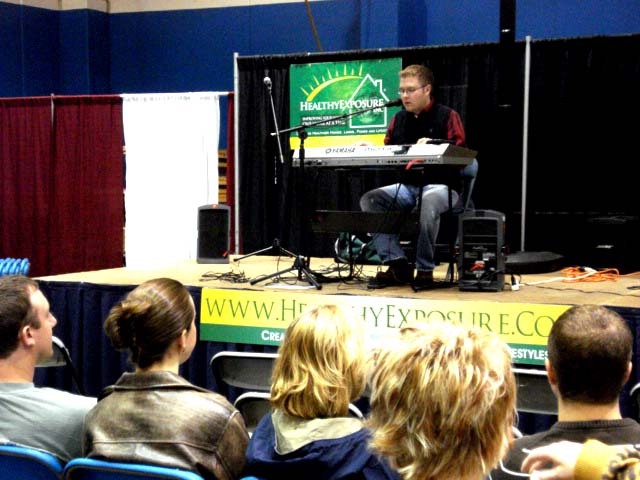 This weekend I had the opportunity to perform at the Home Design Expo in Blaine, MN. It was at the National Sports Center. It seemed like a great show to be at if you were in the market to build or remodel a home. I performed from 11am til Noon. I did about 11 or 12 songs. They were all original, mostly from my CD, “Personal.” It was a good time and had a nice bunch of people hanging out watching and walking by as I sang. After the expo we came back and worked on writing a new song called, “Keep the Change” for Dayna Jones’s new CD. This weekend Dayna and I got 2 songs recorded. I will be mixing them and posting some samples very soon!